Apple Watch sales "nearly doubled year-over-year" in the March quarter, Apple CEO Tim Cook said during the company's quarterly results call, helping to push combined wearables revenues into Fortune 500 levels. "Demand for AirPods significantly exceeds supply and growth in Beats products has also been very strong," Cook explained during the call. "In fact, when we combine Apple Watch, AirPods, and Beats headphones, our revenues from wearable products in the last four quarters was the size of a Fortune 500 company." The CEO noted that the March quarter was the first full period of shipments for AirPods, further suggesting that the product is "still very much in the ramping mode," and "not even coming close to satisfying the demand." Asked about the possibility of broader wearables products, he said only that "we do have a really great pipeline here," and that the company is "very committed" to the Apple Watch. Watch sales during the quarter were driven by the Series 2, which enhances the original model with GPS, true waterproofing, and a faster processor. Cook in fact indicated that sales "more than doubled in six of our top 10 markets," despite coming in a post-holiday window. 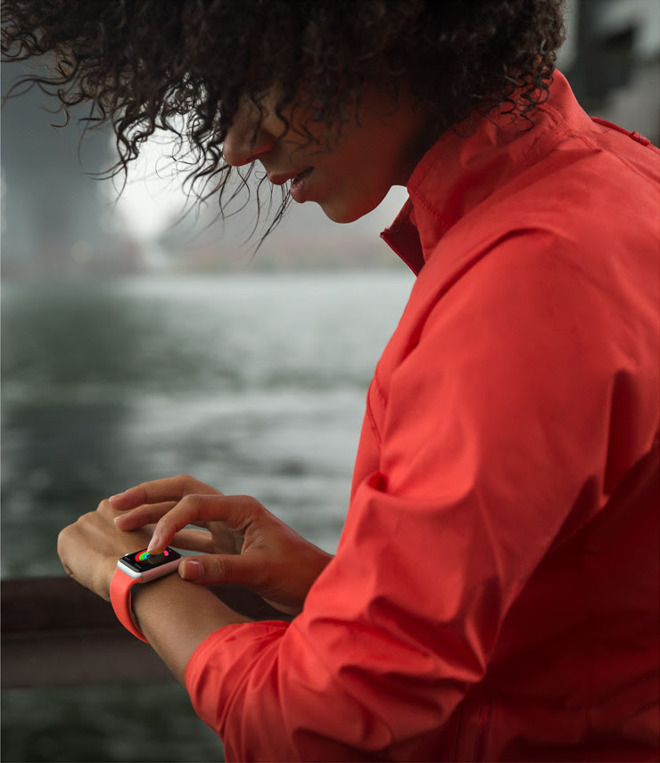 Apple is believed to be working on a third-generation Apple Watch premiering later this year. Features are largely unknown at this point, but rumors have pointed to a faster processor, extended battery life, and/or a 4G connection, which might let it run fully independent of an iPhone. More distant are the company's alleged augmented reality glasses. The company is reportedly "stepping up" development efforts, using a team of hundreds, but no retail product is expected until at least 2018.